As long as war exists, there will always be filmmakers who try to attempt to capture its horror, and its glory. As the years press on and wars come and go, different filmmakers have endeavored to craft different war films that represent the tone and thought process of a given era. All Quiet on the Western Front framed WWI as a time of lost innocence, while The Longest Day presented the Second World War as an hour of glory against the Nazis. This trend has persisted, from the way Platoon dealt with Vietnam, to Courage Under Fire’s take on the first Gulf War. What happens when we examine the man behind a legend? That is exactly what Clint Eastwood’s American Sniper aims to do – pun completely intended. 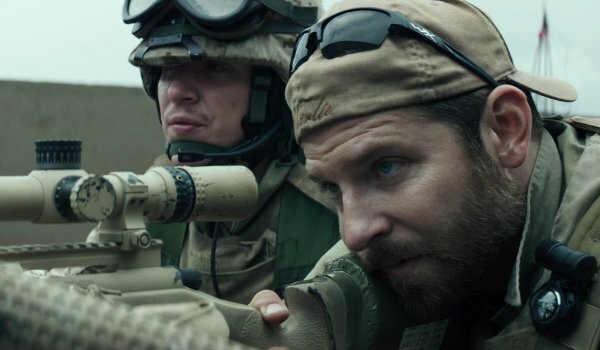 Focusing on the military career of Navy SEAL sniper Chris Kyle (Bradley Cooper), the film portrays Kyle not just as an essential tool of the American war machine, but as a vulnerable man whose job slowly wears him down over time. Every time he pulls the trigger he saves a life, but he also chips away a little piece of his soul. It’s a film that honors the real life sniper’s legacy on the battlefield, but also draws attention to real issues faced by soldiers when they return home. Unlike the other entries on this list, Beasts of No Nation has nothing to do with the western world, or the implications of 9/11. 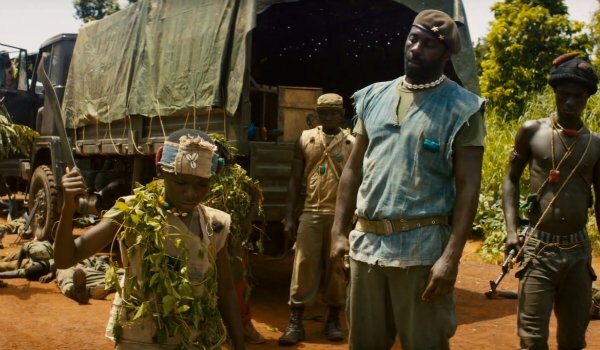 Set in a nondescript African civil war, the film follows a young boy named Agu (Abraham Attah) as he loses his command while fighting as a child soldier for a ruthless yet charismatic Commandant (Idris Elba). Beasts of No Nation remains important primarily because it's a reminder that many of the atrocities and horrors of the world are happening away from the public eye, and that areas of the world outside of the middle east are also engulfed in bloody conflict. No matter where you go, war remains the same. While many films on this list can claim themselves as a "true story," none can even hold a candle to the genuine nature of Restrepo. 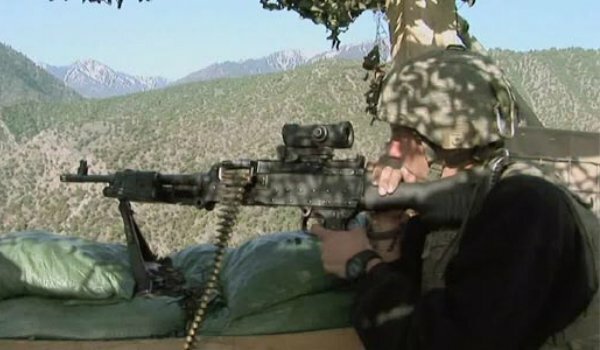 A 2010 documentary, the film follows real filmmakers embedded with a platoon stationed in the Korengal Valley in Afghanistan – the "deadliest place on earth." Restrepo strips away all of the gung-ho machismo one might expect from a Hollywood film and tells a real story about real Americans fighting for their lives in the closest thing to hell imaginable. Just be warned: it's not for the faint of heart. Of all the films present on this list, Lone Survivor is the one that tells the most pure and noble tale of brotherhood on the battlefield. Concerned neither with politics nor policy, the films follows four-man team of Navy SEALs as they fight for their lives in the mountains of Afghanistan against an army of Taliban. Essentially one long firefight, the film's violence comes fast and gritty, with director Peter Berg pulling absolutely no punches. 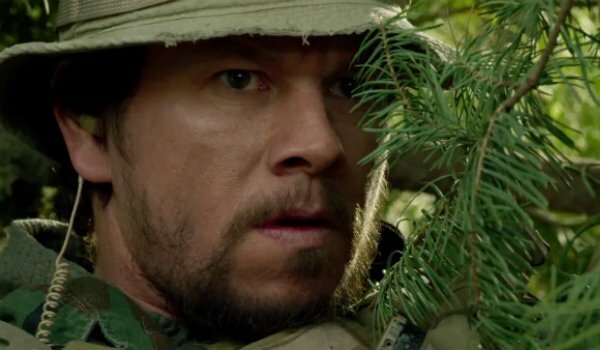 Based on a well-known true story penned by titular lone survivor Marcus Luttrell (Mark Wahlberg), the film honors the sacrifices made by these men in a grandiose manner without ever coming across as preachy. Stop-Loss is an infuriating movie, and to know that it’s based upon real policies only amplifies that infuriation; it’s essentially the Big Short of war movies. 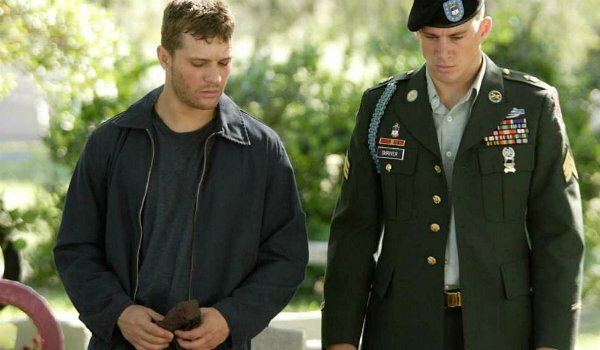 Centering on war hero Brandon King (Ryan Philippe), the story struggles to fight back against the government and their unethical "stop-loss" policy, which allows them to enlistment contract and send them back to active duty involuntarily. As the walls close in around him, Brandon has no other choice but to try and leave his life behind in an effort to try and stay alive. 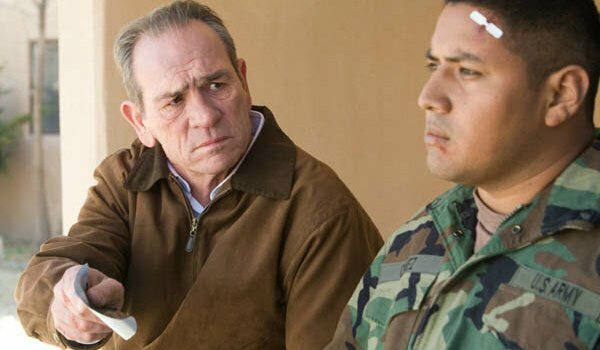 Philippe – along with supporting actors Channing Tatum and Joseph Gordon-Levitt – does impeccable job of selling the effect that war can have on a soldier, but it’s the film’s subject matter that will get audiences fired up. After so many years, it almost feels silly to think that the war in Iraq began due to a false narrative about the possibility of the country having weapons of mass destruction. 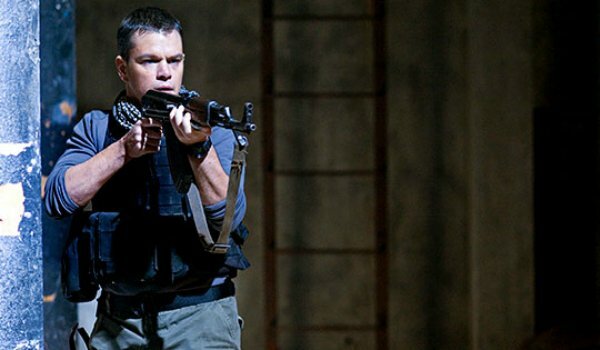 Paul Greengrass’ Green Zone examines those ideas through the eyes of an American soldier named Miller (Matt Damon) who wants nothing more than the truth so he can understand why his brothers in arms are dying. Aside from possessing some solid action sequences, Green Zone continuously asks one very important question: why? Although not directly concerned with politics or the war in Iraq, In the Valley of Elah is still a poignant movie about the effects of post-traumatic stress disorder. When retired military police officer Hank Deerfield (Tommy Lee Jones) starts looking into the disappearance of his veteran son Mike, he enlists the help of Detective Emily Sanders (Charlize Theron). As the case goes on, they begin to realize that Mike’s fellow soldiers may have something to do with his disappearance. In the Valley of Elah is a powerful war movie because it focuses less on the actual war, and instead highlights the darkly disturbing effects war can have on men who return home from the battlefield. War is hell, and people die. We all know this grim fact, but no other post 9/11 war film has endeavored to explore the far-reaching impact of death quite like the 2009 film The Messenger. 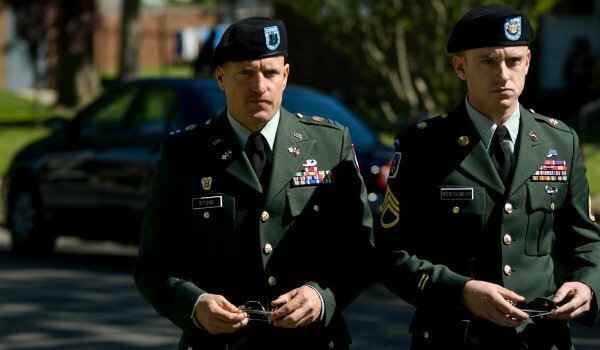 Starring Woody Harrelson and Ben Foster, The Messenger follows a pair of casualty notification officers as they deliver news to the loved ones of soldiers who died in battle in the Middle East. As the weight of the job begins to affect Will Montgomery (Foster), he soon finds solace in a widow whose husband died overseas. The Messenger is a powerful movie that reminds us that the effects of war resonate far beyond the battlefield. Kathryn Bigelow has a strong resume for tense, affecting films about the war in the Middle East. Her most recent war film, Zero Dark Thirty, deals with obsession of CIA analyst Maya (Jessica Chastain) as she hunts down Osama Bin Laden. The film spans years and highlights numerous real-world issues, such as American use of torture to extract information from prisoners, as well as the daring raid that finally took Bin Laden down. Pressure seemingly builds and builds as the story unfolds, unleashing all at once as Maya can finally sit down and rest when the 9/11 mastermind has been brought to justice. It's bittersweet as the audience begins to realize that her victory does not necessarily mean a happy ending for her character. If war truly is a drug, then no other film captures that theme better than Kathryn Bigelow’s 2008 thriller The Hurt Locker. Following a three-man explosive ordinance disposal team in Iraq, the film is a tense, two-hour, white-knuckle ride that tackles serious issues of death, camaraderie, and the thrill of battle. Perhaps the most poignant part of the movie comes during its final minutes, where we as an audience begin to understand how defusing bombs for years has warped Sergeant First Class William James’ (Jeremy Renner) mind. 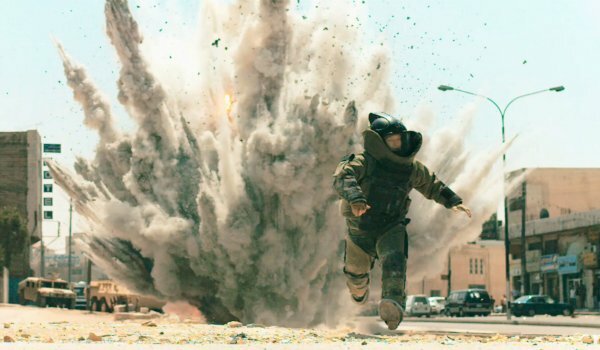 The Hurt Locker tells a heartbreaking yet exhilarating story that ultimately won Bigelow the Best Director and Best Picture Oscars in 2009 – and rightfully so. What Is The Best Post-9/11 War Movie?